Hannibal-LaGrange University welcomes the community to the annual free music department Christmas concert on Thursday, November 29, at 7 pm in the Roland Fine Arts Center with pre-concert music in the lobby. The concert will feature the Concert Choir, Chamber Choir, and La Sua Voce, all directed by Ben Kendall, Instructor of Music; and the Symphonic Band, Praise Song, and the Clarion Trumpet Choir, all directed by John Francis, Assistant Professor of Music. The concert will also feature Mrs. Bonnie Campbell as accompanist. The Clarion Trumpet Choir will perform “Fanfare de Noel,” and a combination piece featuring “Carol of the Bells” and “Silent Night.” “A Celtic Christmas Overture,” “O Come, O Come Emmanuel,” “Fum, Fum, Fum,” and more will be performed by the HLGU Symphonic Band. 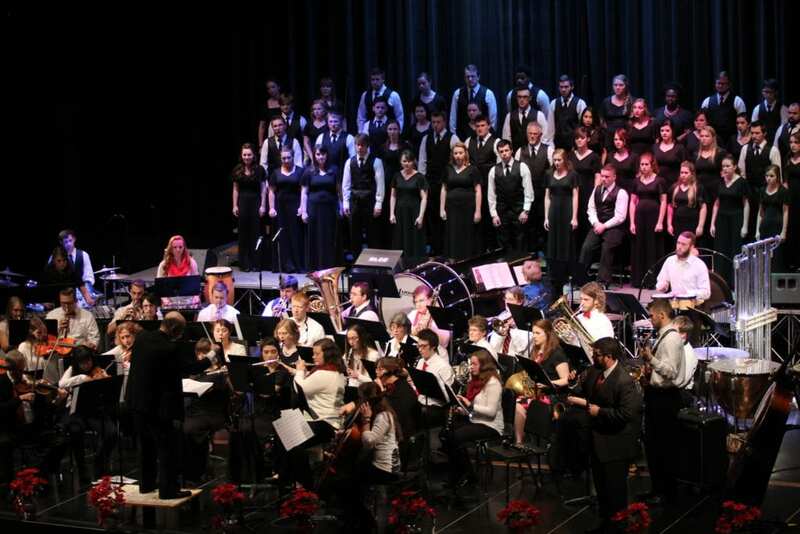 For more information about the music department or Christmas concert, contact Jane Griffen, music department chair at 573-629-3165, or jgriffen@hlg.edu. Hannibal-LaGrange University is a four-year Christian university fully accredited by the Higher Learning Commission and Schools and prides itself in its traditional and nontraditional educational experience in a distinctively Christian environment.